The dawning of spring was bitterly cold the year we visited Alaska. Of course, the Alaskan peoples were all overjoyed for the warmth of 0-20 degrees Fahrenheit! One of the most amazing things to me was the whiteness of the land. Being a Southern Californian (fifth generation, I’ll have you know) I’m acquainted, but not familiar with snow. The experience north was something I’d never seen before. The simplicity of the palate but rich texture of shade and light was dominant in the landscape. 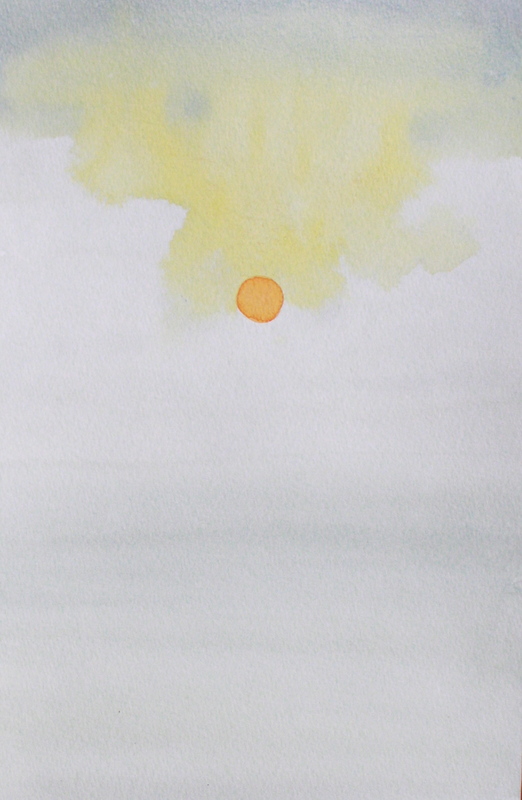 Alaskan Sunrise, here is watercolor on 140lb paper. It is nine by six inches.